The method drawSierpinski calls the method sierpinski recursively where the new middle points are calculated. The middle points are used to call the method sierpinski until the exit condition is reached. The exit is reached if d is equal 0. Below the two methods the context ctx is determined from the HTML element canvas. (The canvas has the id sierpinskiCanvas). Before the Sierpinski triangle is painted with crx.stroke() the colors and line width is set. Please note that the shorter version is optimized for one size. If you change the size of the canvas the size of the triangle remains the same. 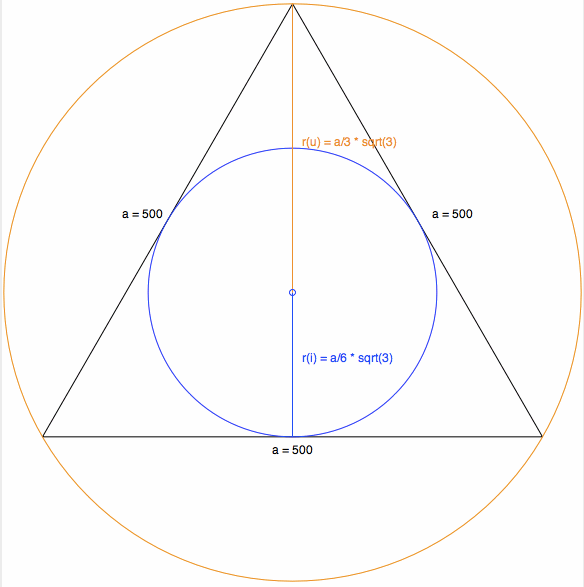 If you use the other version the triangle changes its size when changing width and height. I think with HTML5 it is now possible to draw images in a very easy way and embed them in an HTML page.